A sequel of spiritual western horse stories by author Rebecca Ondov. Rebecca's first book Horse Tales From Heaven is a tough act to follow - who know one person's life as a wilderness pack horse guide could hold so much adventure? And some of it not so safe... Fortunately, she's got her faith to guide her - and luckily for us, she's chronicled her stories in these two volumes so we can learn and be inspired, too. 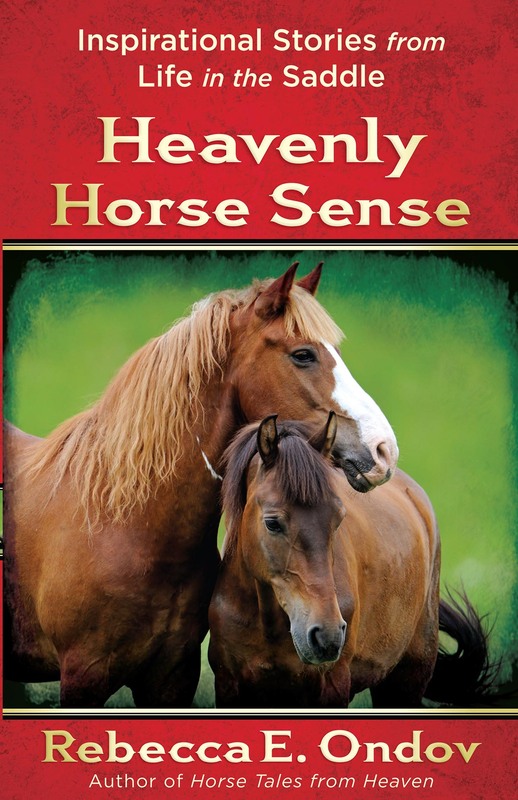 Heavenly Horse Sense is all new stories - buy all as a set so you can read them all! Gina's note: Like Rebecca's other book, this book is divided into 50 chapters, each a short (adventure) story with a Biblical lesson tied in. Some are humorous, others serious; you can pick this up and start reading from anywhere, and enjoy what you read.